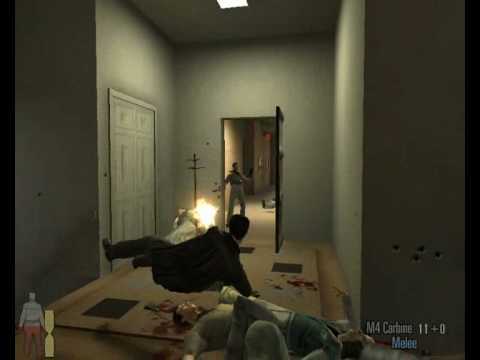 When I think of Max Payne, do you know the one thing that comes to mind first? It’s not the graphic novel style or effective use of slow motion in the gameplay, it’s that haunting violin that kicks off Max’s theme. Mournful and moving, the theme works perfectly, sucking you into the harsh world of the title character – the wet, cold and violent city caught in an endless blizzard and the bitter and angry man caught in the middle of a mystery. Film Noir fans eat your heart out: Max Payne 2 has it all: The tortured hero, the femme fatale and then the shady cast of characters yore not sure you can trust. All in a bleak and grim setting, It’s a fabulous noir. A fabulous noir AND a fabulous production — you’ve got terrific voice acting, gorgeous and immersive art style and that wonderful, thrilling gameplay which just so happens to be the last experience where I have felt such satisfaction using the overused bullet time to take out the bad guys. What I want to talk about is the sound design in this game. You’ll want to pick up a decent headset for this beauty because the sound here is SUPERB. The gentle rattling of the rain on the roof and on the windows of the buildings you’ll shoot through, the twist of a door knob, the sounds of the weapons, the effects used during the graphic novel sequences – it all works to brings this world to life and Remedy succeed wonderfully here. Say what you will about Remedy but they always have a knack at creating immersive worlds and the sound of MAX PAYNE 2 is outstanding. Be sure to keep an hear out for Poets of the Fall and their song ‘Late Goodbye’. Great little indie band. 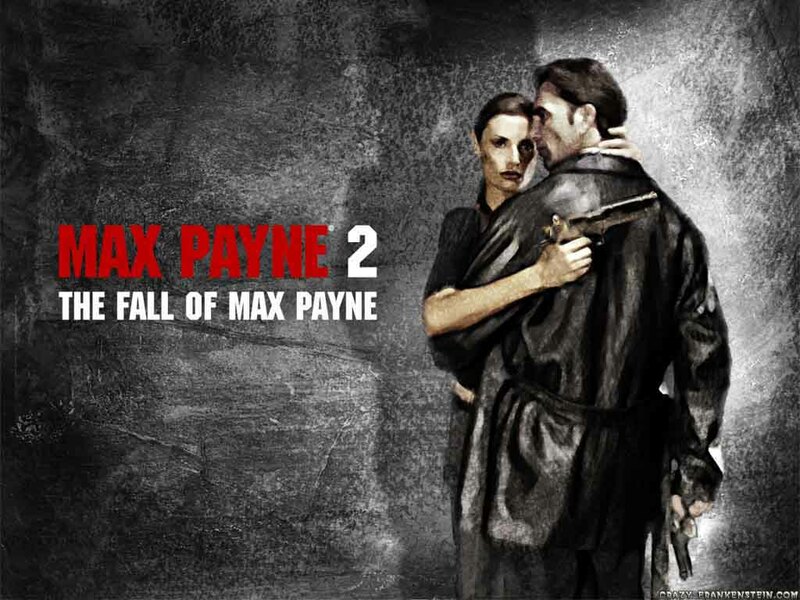 The story of Max Payne 2 features all the twists and turns you’d come to expect from a film noir tale, seeing Max dig a little deeper into the world that was established in the first game and coming into characters he’s met before – namely Mona, the sultry femme fatale. It doesn’t feel like un-neccesary padding to capitalise on the success of the previous game, nor does it feel like an afterthought. It is it’s on little self contained episode and it all works rather effectively. BUT — the original Max Payne had this going for it — Max Payne was a vigilante avenging the death of his wife and infant daughter — one man working his way through the freezing cold night as he is relentlessly hunted by criminals, police and shady politicians. He was a haunted man and his wounds were fresh. Nothing has changed by the time we meet him again in this story, though the game loses its unrelenting drive and that urgency simply because the events taking place don’t quite capture that suffocating “oh crap-the-walls-are-closing-around-him” feeling. The story is great, don’t get me wrong, but I don’t feel that nail biting urgency here. That being said…man! Man oh man, is the writing still fantastic? The dialogue between characters, Max’s inner monologue. It’s all quite quotable and just wonderfully written and just a joy to sit back and see. As a gaming experience, it works a treat. 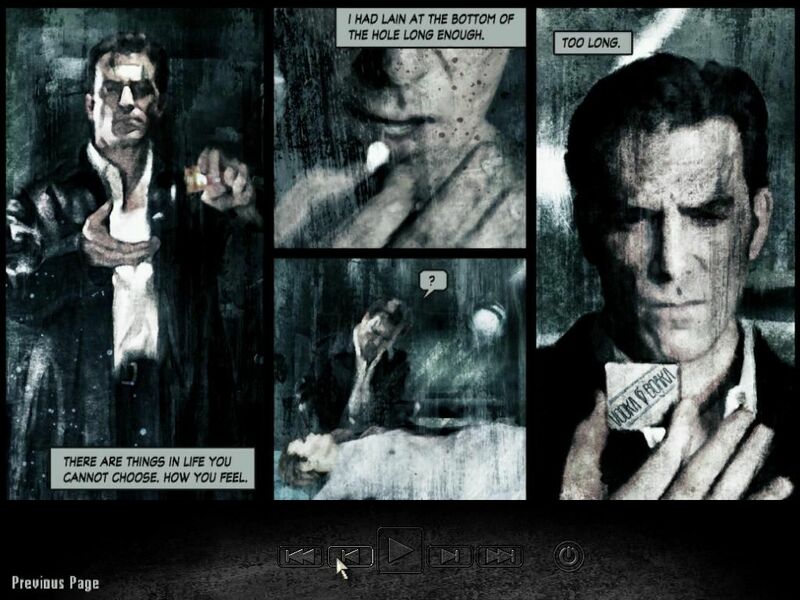 The comic panels used to tell the story is a great idea and the gameplay itself is a blast — bullet time has never been quite as fun. The mechanics feel great to work my hands around and flow rather well. It’s a smooth and exciting game to get lost in. The Fall of Max Payne is one of my favourite games to revisit and should be experienced by all gamers and fans of this type of genre. If you’ve had the chance – do yourself a favour and get into this – and the original. I believe they can be found on PSN and the XBLA.